A lot of photographs I like balance ambient and artificial light. Using the sun as a big fill is pretty smart and just adding one flash keeps stuff simple (and your backpack light). But there is one problem: the flash sync speed of the camera. Limiting you to 1/200 and forcing you to block the ambient light with a smaller aperture. This then led to a deeper depth of field. Alternatively, you could use ND filters, leaving you with horror focusing. Luckily we live in a time where “High-Speed-Sync” (HSS) and “HyperSync” are a reality and allows us to use multiple flash bursts (HSS) or longer flash durations (HS) to shorten our exposure time. Sounds complicated? Read this blog entry by Broncolor about their HS. At the Photokina 2016, Broncolor announced their RFS 2.2 transceiver which added HS capability to their “Siros L” and “Move” products. As I don’t have a Siros, I’ll review this technology on my Move. For using HS on your Move, you have to upgrade the firmware at your local Broncolor service center. It adds the High-Speed-Sync menu entry to it, and when you activate it, you’ll see a warning saying “With HS only lamp channel 1 is active”. You can also do it remotely over the RFS 2.2. It draws its power of two AA batteries. So much better than the crappy button batteries. It allows you to change the flash power remotely. Naturally, HS has its limitations: The minimal flash power gets raised by four stops from 2 to 6, and you can only use channel one. When you’re battling the sun, you’ll hardly notice the limitation as you’re between 6 and 10 anyway. And if you need a low power: there are lightning ND filters out there. I think it’s great that a product released in 2012 gets such a major functionality update after four years. Almost no shots of my recent assignments in Peru would have been possible without the HS functionality. 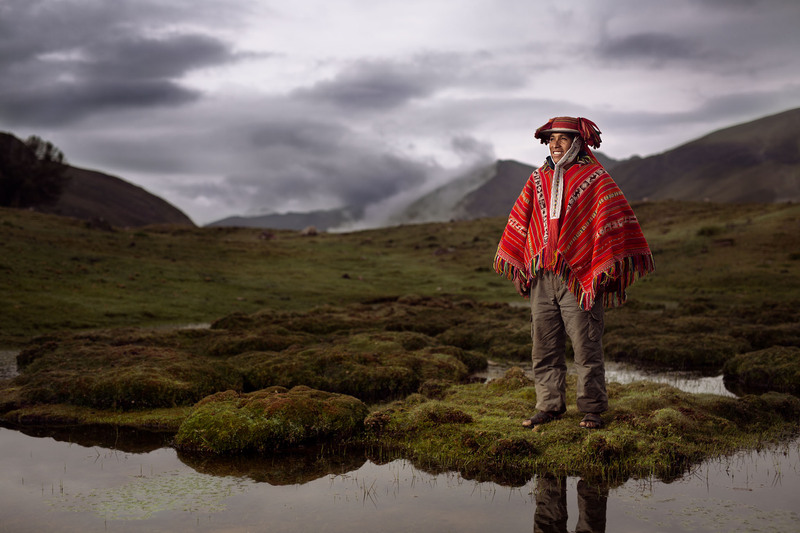 Possible thanks to the Broncolor HS technology: The photo of Augustin, a Peruvian farmer living at 4200 meters.